Grade 15-5PH investment cast stainless steel body and hasp. Grade 316 stainless steel plunger pin and spring. 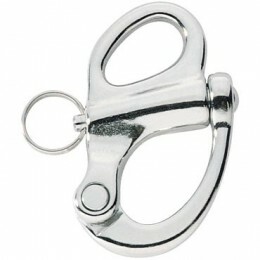 Categories: Fixed Bail Snap Shackles, Snap Shackles.